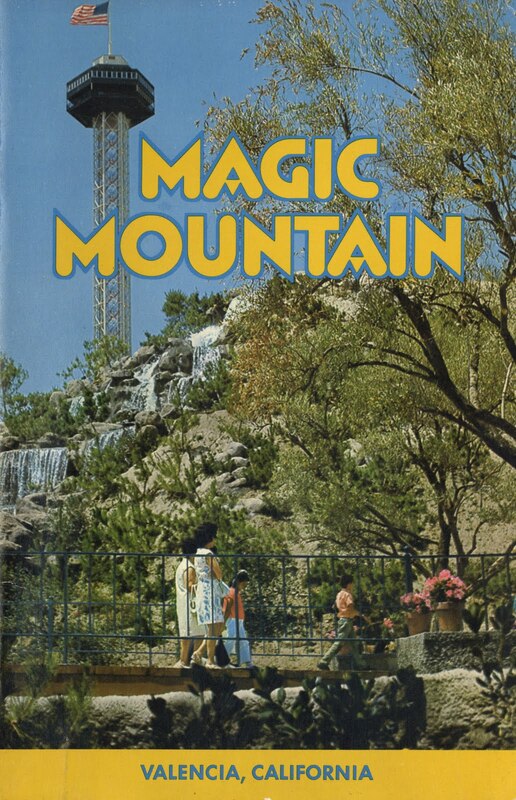 Its time for another vintage Magic Mountain post, this time the clock is set way back in the parks history. 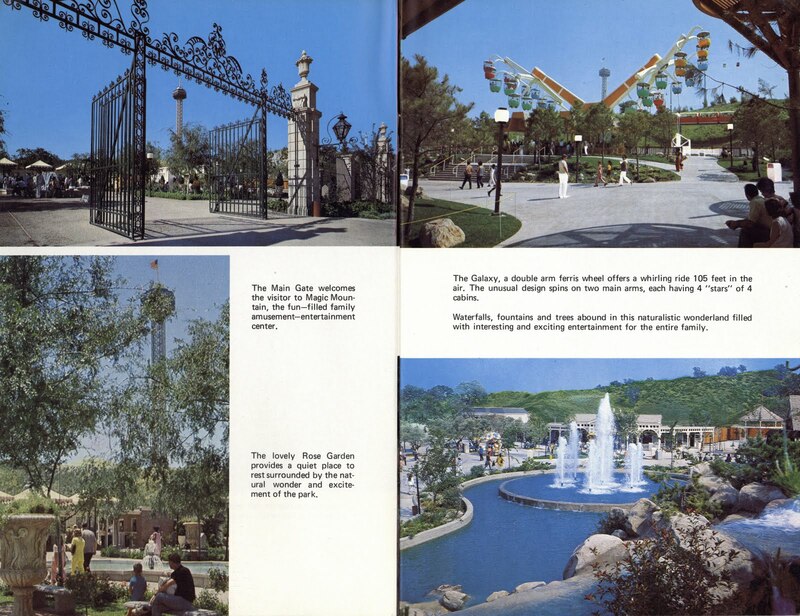 While not dated, this souvenir guide book is most likely from 1971, the year the park opened. 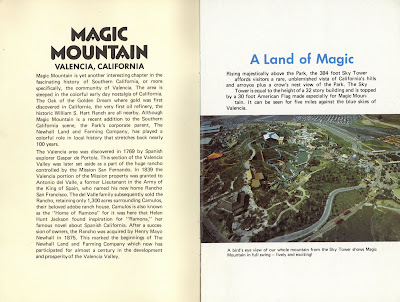 A couple of years ago I posted a similar souvenir guide book (link) which was probably from 1973 or 1974. On the left we’ve got a little history of the Valencia Valley. On the right is some stellar concept art (which leads me to believe this is from 1971) – do you suppose anyone has the original of that concept art? The two top photos are screaming “before & after” – I’ve still got my 2010 pass, hmmm. Metro Monorail spotted! Yankee Doodle Dandy was even more boring than it looks. More METRO Monorail, this time its soaring over El Bumbo. In the video at the end of this post you’ll seem more of El Bumbo than you’ll ever want to see. Here's my best attempt at now photo (link). More METRO Monorail! Top right photo – wow that's a wide angle lens! The Spin Out was recently removed, there's just an empty cement slab there now. Eagles Flight – the steel tower route - El Dorado Station (right) was not nearly as high as the concrete tower route - Galaxy Station (left), they both make me want to pass out. 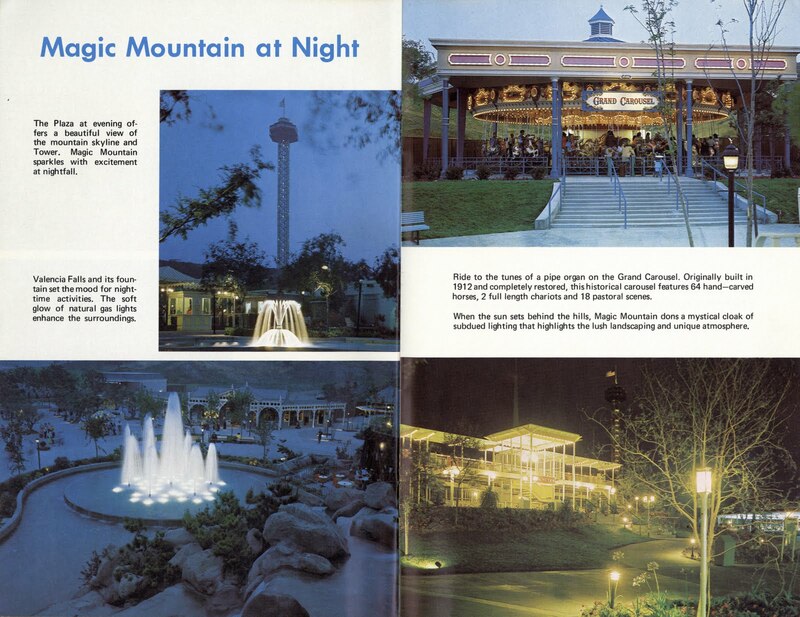 Magic Mountain at Night – is that something like Disneyland after dark? That's the Metro Monorail Contemporary Station on the lower right (link). The Galaxy did look pretty cool at night – from the ground. If your'e looking for a “moment of relaxation” you won’t find it at the Oriental Gardens, it’s now the load/unload building for Tatsu. “200 acres with 56 acres reserved for future growth”, I think they’ve used it all and then some, they are currently at 260 acres. While recently cleaning out my blogger desk, I found an unmarked DVD. 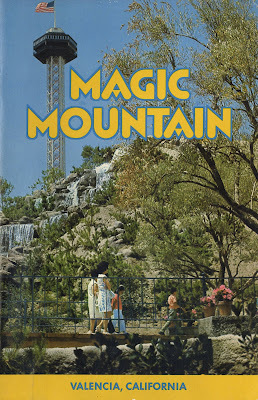 I have no idea where I got this or how I got it, but its some great home movie footage so if you’re a vintage Magic Mountain fan (or Knott’s or Lion Country Safari fan) check it out. Its from 1973 or 1974. If you gave me this, thank you. Here’s a quick synopsis: By the way, the video is a so-so transfer, it has some flicker, so if it gives you a head-ache – stop watching it. 1:30 – 2:00 Petting zoo. 2:00 - 2:35 Panorama view of the park from a Skybucket on Eagles Flight- Galaxy route. Includes Log Jammer, Metro Station, Gold Rusher, El Bumbo and the Spin Out. 3:00 – 5:55 Yes its three entire minutes of EL Bumpo! 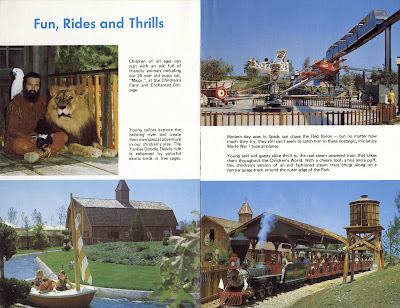 You get to see the long queue path, the ride and the long exit path – twice! 5:55 – 6:30 The Grad Prix, a "sort of Autopia". 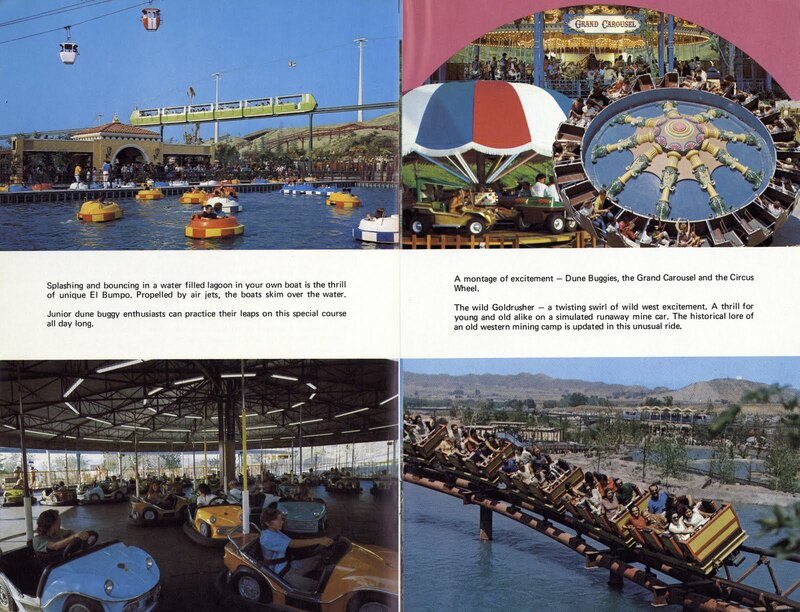 The cars were great, but the track was too short and crowded, as you’ll see. 7:10 – 7:40 The Trolls, the Wizard and a Band! 7:45 – 8:35 Knott’s Ghost Town, Cowboy points gun at Indian? 8:35 – 9:20 Mine Train Ride & Log Ride. 9:20 – 9:40 Don’t blink but it’s a few seconds of the rarely seen Gypsy Camp. 10:15 – 11:30 Seals, Dolphins and Coy Fish, is this Japanese Village? Love that MM souvenir book AND the video. Very cool and rare footage of Gypsy Camp at Knott's! Thanks for sharing these with us, VDT! The place really looks so magical... Places like us this is so amazing making people, friends and family closer together. I just love going places like this because it is a common love by all people. I think this is the only place where people meet and have one thing in common, to have fun. 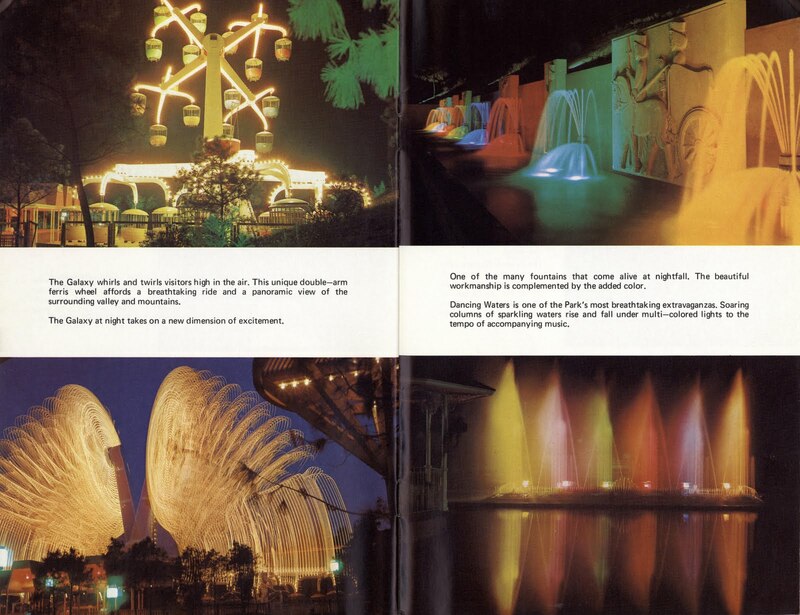 What a great brochure, I'd want to go to MM after looking at it. In fact I want to go there NOW, but it doesn't look like that any more. BTW, yes, that is Japanese Village...! Fun Stuff VDT. 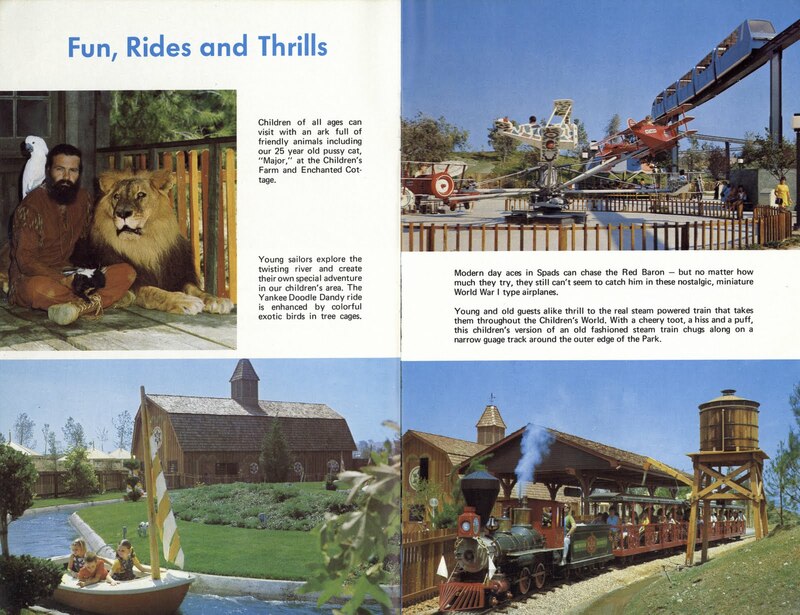 Always enjoyed MM, even if it wasn't Disneyland. What I hear about it now makes me sad. @Alicia: I have a theory that agrees with you. 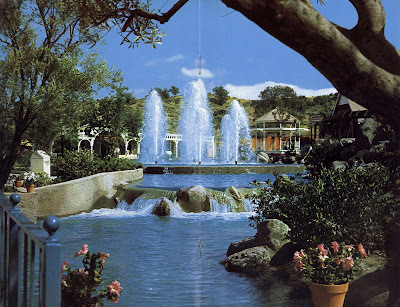 I think that the very ground of these places like Disneyland and MM become soaked with good karma after thousands of people enjoying themselves there and that good karma can outlast our lives. 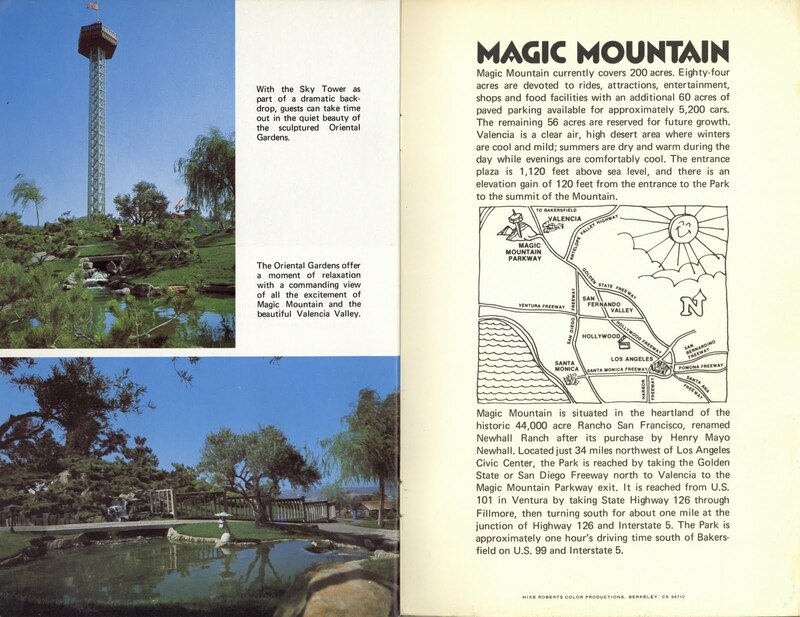 It's not entirely proof against stupidity or greed though, see Knotts Berry Farm or Tarzan's Treehouse, but the good karma of those damaged or destroyed places still lasts in a place outside the world, in the memories and photos of all the people who visited. How do I prove this screwball theory? By example of all the blogs about these places, filled with comments by people like us whose lives were enriched by the designers, artists and thinkers who made them. Now, sometimes, the only way back is through blogs like VDT or the Major's. These are little windows into our happy past, that look away from the view ahead. Wish you well...and thanks again VDT. Super picture book. 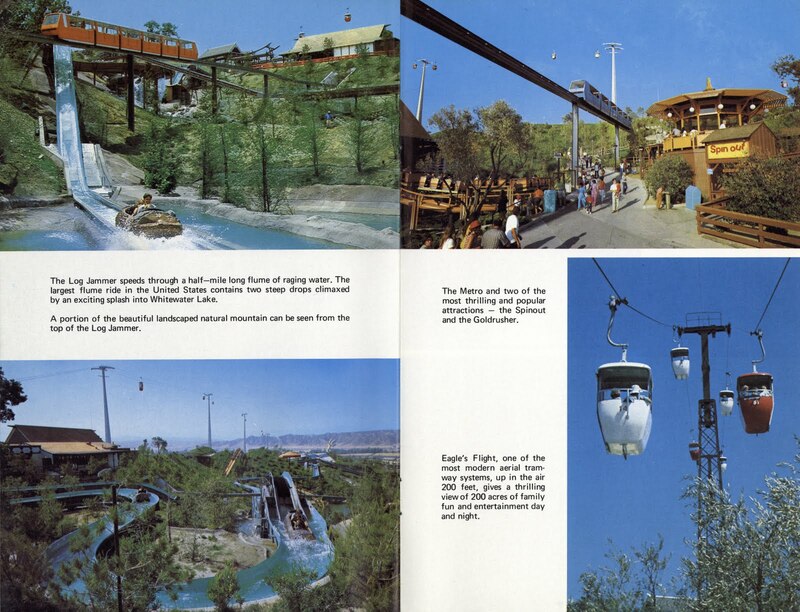 The front cover shows they are crossing a wood base bridge in front of the bottom water fall area. The people walking are just about headed to the Glass Crafts store and water went under the bridge out across what is now cement walkway. The water probably went to what is now the Jelly Belly store. 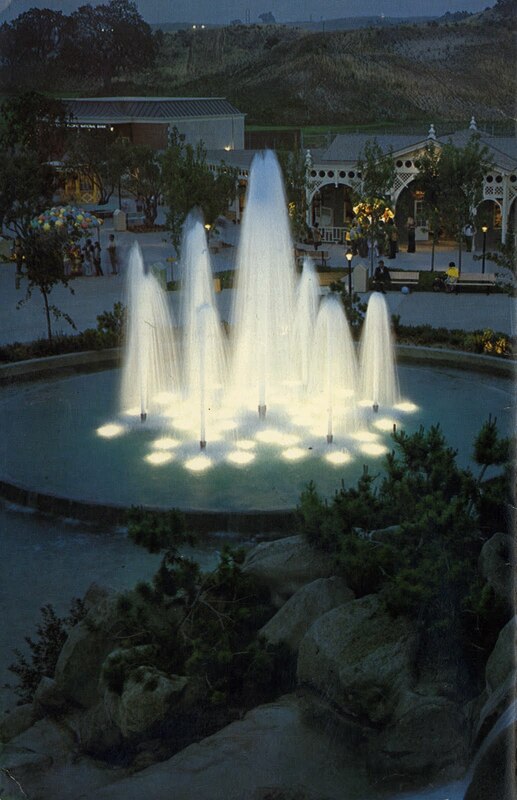 The Blue Green Red Yellow lighted fountain wall is still there but is flat and now filled in with ivy plants and trees where Superman zooms above the sidewalk.